This is the first release in the small batch cocktail series, limited one-off releases that lean experimental, made in partnership with local bartenders. 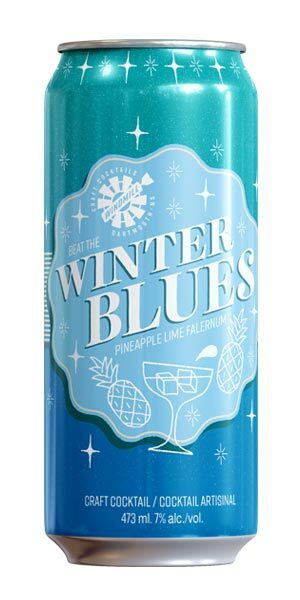 For Winter Blues, Windmill Craft Cocktails teamed up with the award-winning Shane Beehan. Winter Blues is a tiki-style beverage made with pineapple, lime, and falernum – rum infused with warming spices: star anise, all spice, clove, and toasted almond. Blue as tropical seas and crisp as the winter wind, Winter Blues is guaranteed to lift both glass and spirits.